Today in Masonic History Roy Claxton Acuff passes away in 1992. 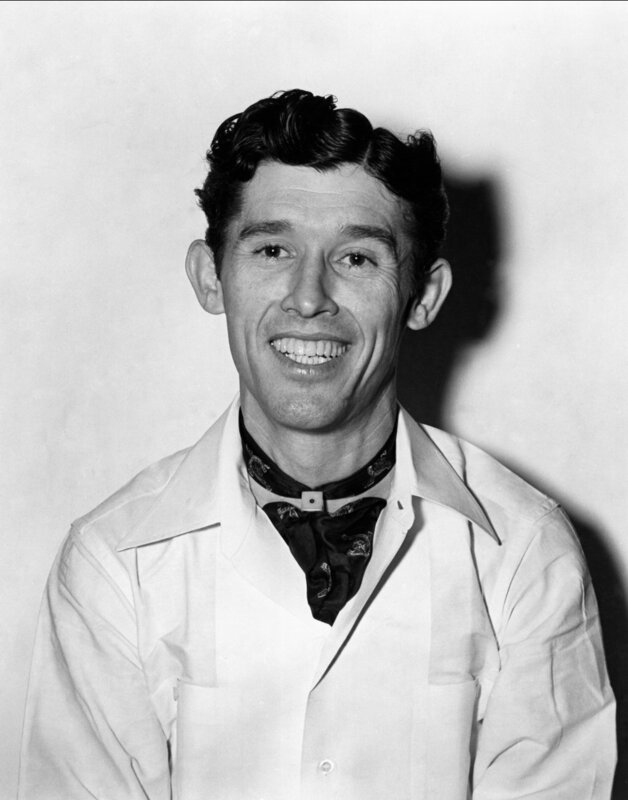 Roy Claxton Acuff was an American singer. Acuff was born on September 15th, 1903 in Maynardville, Tennessee. He came from a prominent family and the Acuff house was a frequent meeting place for people in community. At the gatherings Acuff would entertain friends and neighbors by balancing farm implements on his chin. Coming from a musical family, Acuff picked up various instruments including the harmonica and the mouth harp. In 1919, the Acuff family relocated to Fountain City which is now a suburb of Knoxville. There Acuff graduated from Central High School where he excelled at sports. He was even offered an athletic scholarship which he turned down. After high school in 1929, Acuff tried out for various local baseball teams. During spring training for the Knoxville Smokies, a minor league affiliate of the then New York Giants, Acuff suffered severe sunstroke which ended his baseball career. The sunstroke was so bad that in 1930, Acuff suffered a nervous breakdown. He would later reflect that he could not tolerate any sun during that time. In 1932, Acuff joined a medicine show. The shows would often hire entertainers to bring in the crowds to sell their suspect quality medicines. It was while working the medicine shows that Acuff learned to project his voice which would be a critical skill for his later radio career. In 1934, Acuff left the medicine shows and formed a band. Initially they were called the Tennessee Crackerjacks until a local radio announcer called them the Crazy Tennesseans while introducing the band. The group liked the name and changed the name of the band. They would end up singing with ARC a recording label and would work to complete a 20 song commitment with the label before parting ways in 1937 over a contract dispute. In 1938, Acuff and the band moved to Nashville to try out for the Grand Ole Opry. Their first audition did not go well. Their second audition impressed Opry founder George D. Hay and producer Harry Stone. On the suggestion of Hay and Stone, Acuff changed the name of the band to the Smoky Mountain Boys. Despite changes in the band and the band eventually splitting up, Acuff would continue to play, with some breaks, at the Grand Ole Opry for the rest of his life. In 1940, Acuff and the band traveled to Hollywood where they appeared in the motion picture Grand Ole Opry. Acuff would go to appear in other films as well. In 1942, Acuff met songwriter Fred Rose. The two men formed Acuff-Rose music and would become a force in the country music industry. They would work with young artists who had been cheated by other labels. Rose, who had experience as a talent scout, brought other new talent to the label as well. They singed Hank Williams and in 1950 had their first big hit with Patti Page's rendition of the Tennessee Waltz. In 1948, Acuff invited Tennessee Governor Prentice Cooper to the Grand Ole Opry. Cooper refused blaming Acuff for turning Nashville into the "hillbilly capital of the United States." A reporter informed Acuff of Cooper's response and told Acuff he should run for Governor. Acuff didn't take it seriously until he received the Republican nomination. This frightened long time political boss E. H. Crump. Acuff was defeated in the election by Gordon Browning. Through the 1950's and the 1960's Acuff's popularity waned. It wasn't until the Grand Ole Opry moved to it's new home in the Grand Ole Opry House in 1972 that Acuff had a resurgence in his career. On the opening night in the new Grand Ole Opry House, Acuff taught President Richard Nixon to use a yo-yo and convinced the president to play a few tunes on the piano. Through the 1980's Acuff lived in a house on the Opry grounds and continued to perform on the stage. He would show up early and perform odd jobs like stocking soda in refrigerators. On November 23rd, 1992, Acuff suffered congestive heart failure and passed away. Acuff was a member of East Nashville Lodge No. 560. He also joined the Ancient Accepted Scottish Rite, was a member of Al Menah Shrine Temple and joined York Rite. He was member of Edward G. Corbitt Chapter No. 147, Royal Arch Masons. A member of Nashville Council No. 1 Royal and Select Masters and Nashville Commandery No. 1, Knights Templar.